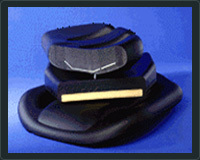 Universal Urethane, Inc. provides several types of in-house tooling for our customers. We provide the highest quality tooling possible at very reasonable prices. This enables our customers to develop more products more often. Tooling can be produced from prints, existing parts or engineered models. Our complete in-house capabilities include spray metal-epoxy cast, reinforced spray metal epoxy fiberglass laminate composite, machined aluminum and sand cast tool which allow flexibility and quick response to customer needs. Many of the products we produce require fabricated plastic, wood or steel inserts. We can design the insert required for your products using your print or from our experience in creating inserts. 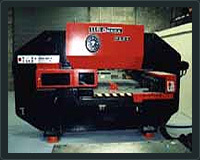 We handle the production of your die-for-die cut plastics-jigs for wood and any CNC programs needed for inserts. We'll also maintain inventory of your fabricated inserts when blanket orders are made, critical for on-time deliveries. Our production facility is equipped with 15 urethane processing machines that manufacture an array of products for our customers. The capabilities of the machines range from 15 pounds to 100 pounds per minute output. These units will produce parts that weigh as little as 100 grams and as much as 100 pounds. For your high or low production jobs, we have six carousels ranging in size from 20-120 feet, plus five other independent work stations. 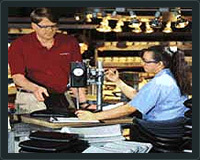 Our equipment gives our production team great flexibility in executing your products cost-effectively and efficiently. Our production management team constantly enforces strict control and makes sure that your order is produced and delivered according to schedule. Like our customers, we take pride in our product and our ability to deliver them on time. 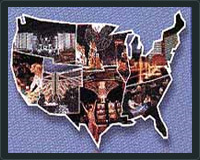 We realize that the items we produce for our customers are often just part of your finished product. We understand that the materials you choose for your products reflects your company's reputation and standards. 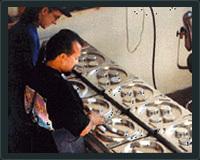 That's why all products produced at Universal Urethane, Inc. are subject to stringent inspection techniques and tight process control procedures. Our track record proves that Universal Urethane, Inc. meets or exceeds our customers' demands and ultimately maximizes the efficiency of their projects while minimizing the cost.